Amid busy schedule and frequent travel to overseas, Prime Minister Hailemariam Dessalegn went to Dilla yesterday to meet residents of the town a year after a deadly clash that claimed the lives of 34 people and injured many. In the same trip, the PM is also expected to lay the corner stone for the construction of a new agro processing industrial parks in the town, which is also a seat of the Gedio zone of the Southern Regional State. Hailemariam returned to Addis Ababa on Thursday after a two day EU-AU summit that was held in the capital city of Cote D’Ivoire, Abidjan. Before traveling to Abidjan, the Premier has also been in Nairobi on Tuesday to attend the inauguration of Uhuru Kenyatta who was sworn in as president of Kenya to serve his second term, after winning another disputed election three months ago. According to residents of the town who talked to The Reporter on condition of anonymity, officials of the town have been making huge preparation to welcome the premier in the past two weeks, the likes of which the town has never seen. Sources also said, by establishing a taskforce, the administration has cleaned up the town and revamped some of its infrastructure in preparation to his arrival. However, according to the same sources, the taskforce is also taking some “extreme measures” that includes removing some small businesses such shoeshine stalls, coffee or fast-food venders from the main street. Some also commended part of the action taken by the administration such as cleaning the streets. In July 2016, Dilla along with the surrounding towns and localities was shocked by a deadly ethnic tension and conflict. The town witnessed shocking fatalities due to this clash. 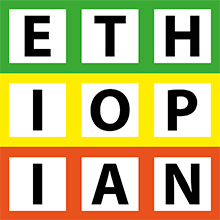 The Ethiopian Human Rights Commission (EHRC) later investigated and found out that over 34 people from various ethnic backgrounds were killed in the conflict. Although the town is mainly the seat of Gedio zone, it is also home to several ethnic groups who have settled there many years ago. And, conflict and tension are fairly a recent phenomenon in the town. The PM’s visit to the town is also believed to facilitate a dialogue to address outstanding issues in the town and in the region. At the same time, the PM is also expected to lay the corners stone to mark the commencement of the construction of an Agro-processing Industrial park in Dilla. Dilla and environs is blessed with fertile land and varied agro-ecological resources such as fruits and coffee which dominantly grows in lowland areas. The would be industrial park is the second mega project after the industrial park that was launched in the top coffee grower locality of Yirga Cheffe, just 45kms South of Dilla.